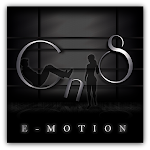 CnS-emotion is excited to release a new large group pose! The CnS-emotion Goes Wild Group people holds 7 friends and/or family for a cute party pose! Stop by the mainstore and grab this and many other fantastic poses!